FIT"Great cycle clothing should fit so well that you don’t even notice it,” Monica Santini, Santini CEO. "At Santini we strive to create garments that fit like a ‘second skin’, it is what we are best known for." PERFORMANCESantini is a technology pioneer and pro supplier. From our world class chamois technology to our materials research, our aim is to make sure that every Santini product provides you with maximum performance in the saddle. COMFORTEach garment is engineered to provide unsurpassed comfort in the saddle, from the materials selected to the strategic placement of each seam. DURABILITYSantini Cycling Wear is Made in Italy by our highly skilled production staff with the highest quality materials. Each garment undergoes vigorous quality controls and will last a lifetime. Pietro Santini founded Santini in 1965 after taking over a knitwear factory from his sisters. At first Santini was an artisan factory making clothes for others. 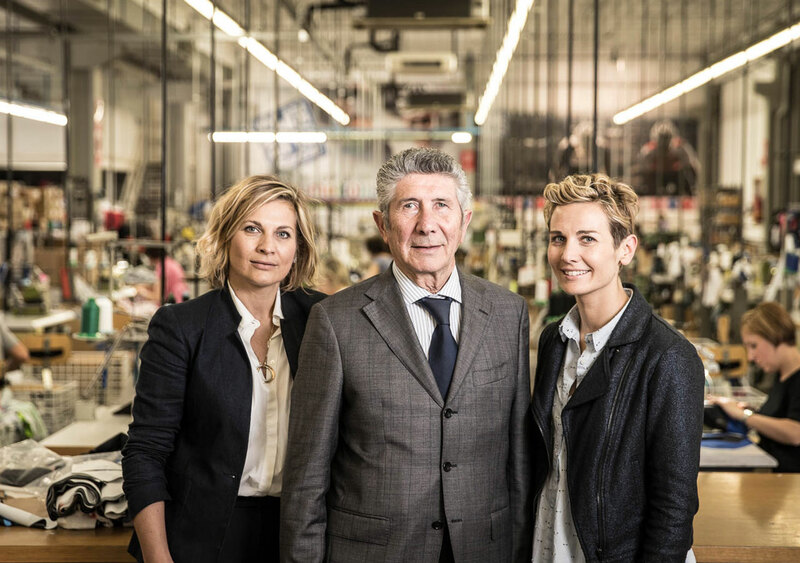 But, fuelled by his deep passion for cycling and racing, Pietro made the choice to design and manufacture Santini products exclusively in Italy. Every garment we make is developed from scratch by our team of dedicated designers. All of them have a deep-rooted passion for cycling, triathlon, and running and, because every aspect of design is crucial, we invest a lot in materials research and development to make sure every piece in our collection is designed with specific user and riding conditions in mind – then engineered and manufactured to deliver the ultimate performance that World Champions demand. This ensures we make only the finest quality products, and enables us to develop innovative products quickly and efficiently, in-house, in Italy. To help everyone who loves cycling and triathlon to participate in peerless comfort and style, using the highest-performance technologies for a zero-distraction experience. Everything we do is focused on the person. Today, we manufacture more than 3000 items a day – and export around 75% of our output beyond Italy. Someone once called us ‘purists’, and maybe we are – what motivates us are not numbers but a real, overpowering passion that makes us proud every time our athletes win. To help them do this, we are constantly researching innovative materials and new production methods, and working hard to refine and improve our creations. We made a choice. Made in Italy. Made with passion. We know it’s the right choice.